Communications software and services company Unify has tapped Wordtext Systems, Inc. (WSI) as the carrier of its enterprise-oriented unified communications solutions from Germany. Specifically, WSI will be distributing and supporting OpenScape Business, a voice and unified communications solution that allows employees of small and medium enterprises (SMEs) to connect with each other whenever, wherever to boost productivity and customer service while minimizing running costs. Using Voice over Internet Protocol (VoIP), companies will be able to save up to 90-percent in conferencing costs and up to 30-percent voice calls cost through OpenScape Business. Not only does it feature an intuitive and web-based management tool, it also seamlessly integrates into networks no matter the existing infrastructure. “There is no need to rip and replace your existing infrastructure because OpenScape Business works on top of this, and the solution can grow as your business grows,” Garay confirmed. 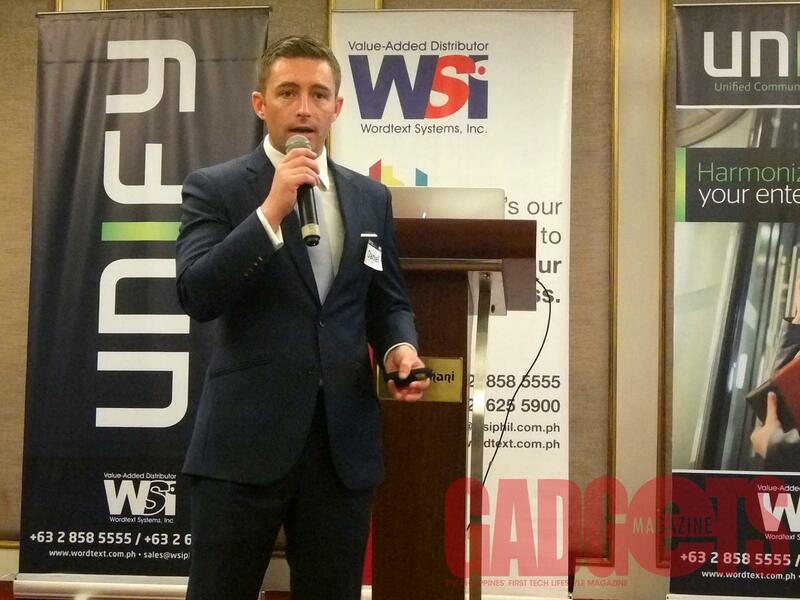 Unify managing director for the ASEAN Daniel Mountstephen. 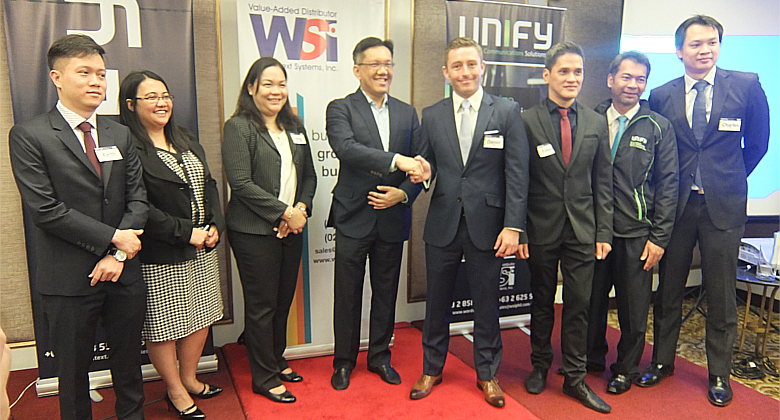 Pictured above: WSI president Juan Chua (fourth from left) and Unify managing director for the ASEAN Daniel Mountstephen (fourth from right) make the partnership official.